Cosmos flowers are in full bloom in Kadekaru, Nishihara Town..
A cosmos field in front of Uchima Udun (内間御殿) at Kadekaru, Nishihara Town, is in full bloom. Photo enthusiasts and families visit the field to enjoy the view and taking photos. Sawafuji is NIshihara Town’s own natural treasure. The cosmos field was planted by local resident, and it is blooming for the fifth time this year. 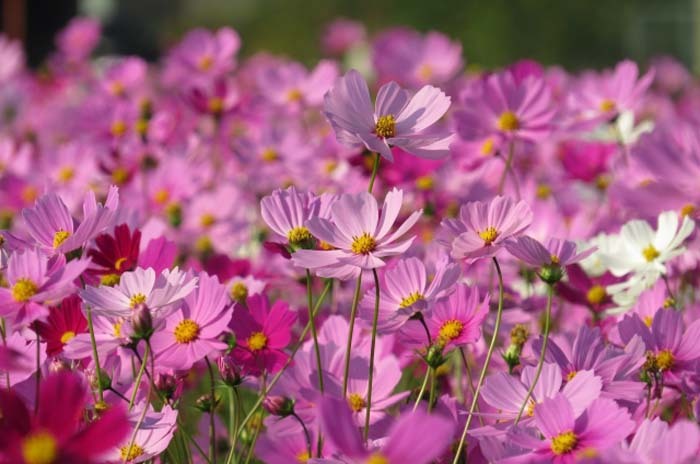 The cosmos started to bloom on Jan. 10th, and visitors can enjoy them until mid-February. In the summertime, from the end of June through July, Uchima Udun is a popular place to view Sawafuji, a.k.a. 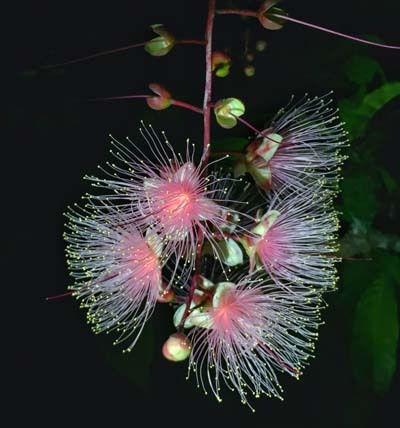 Barringtonia. Uchima Udun was designated as a national cultural property in 2011. It’s the place where King Shoen lived for 15 years before he became the King. The Sawafuji by Uchima Udun was designated as a Nishihara Town natural treasure in 2012.